ArtWorks youth Apprentices and artists turn bare walls into public masterpieces—to date, we’ve created 132 public murals in 44 Cincinnati neighborhoods and seven nearby cities. Do a self-guided mural by downloading this map! We’re well on our way to painting a mural in every one of Cincinnati’s 52 neighborhoods—and then some! 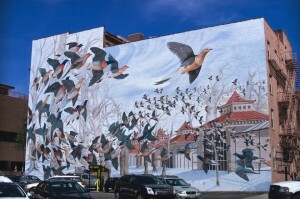 If you find a bare wall in your neighborhood that’s the perfect canvas for a new mural, let us know. 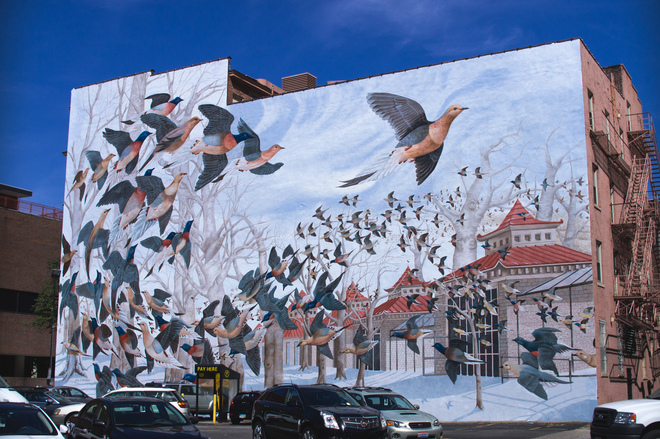 ArtWorks youth Apprentices have completed 147 murals in 42 Cincinnati neighborhoods and seven nearby cities. 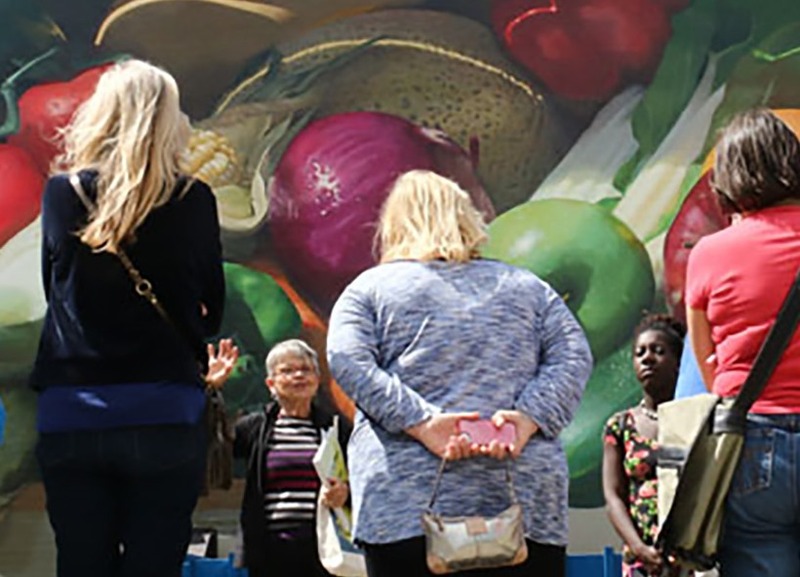 Join us as we walk through historic downtown streets exploring Cincinnati’s impressive collection of larger-than-life murals on a private tour. Or click here to download a map for one of our self-guided walking tours. The City of Cincinnati challenged us to paint murals and still generously supports our mission to this day. 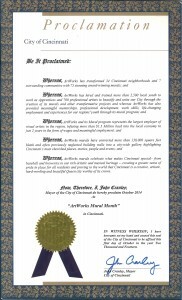 Thank you, City of Cincinnati!